There's less than a month left until the annual SAM awards ceremony, and the finalists in all five categories, nominated by SAM members, are now known. In the category of SAM Manager of the Year, the nominees are: Biljana Jovanovic, owner and director of Modna Kuca LUNA, Dejan Aleksov, Retail Group Director at PHOENIX BMS, Dejan Turk, CEO of Vip Mobile and A1 Slovenia, Mina Rakicevic, co-owner and director of Delikos, and Nikola Avram, the director of the tourism division at MK Group. The nominees for the Young Manager of the Year award are: Branislav Loncar, CFO for Southeast Europe at Publicis One, Ivan Djolic, Sales Manager at Adacta, Milos Grujic, Director of Sales at Courtyard by Marriott, Uros Djordjevic, CEO of Agrounik, and Vukasin Aleksic, Solution Sales Professional for the CEE Region at Microsoft. In the category of the Employer of the Year, the nominees are: Atlantic Group, Generali Insurance Serbia, MikroElektronika, Vip Mobile and the BENU Pharmacy. The nominees for the Employer of the Year award for micro and small enterprises are: Adventis Real Estate Management, DNA Communications, Gi Group HR Solutions, Travel Boutique and Triple S Learning. The finalists for the Socially Responsible Company award are: Courtyard by Marriott Belgrade City Center Hotel, Delta Holding, Marbo Product, TeleGroup and Vip mobile. 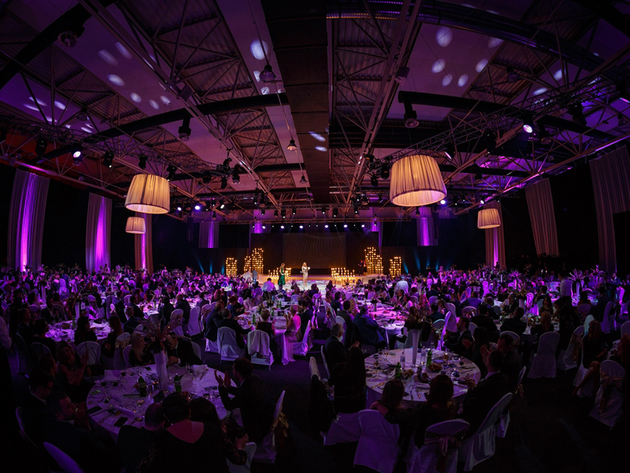 Winners will be pronounced at the SAM GALA 2018 ceremony on December 12 at Belexpocentar, which will be attended by over 400 most influential guests from the worlds of business, politics, culture and media in Serbia. In addition to SAM members, votes will be cast by the jury, which consists of: Stanka Pejanovic, the president of SAM, Olga Svoboda, the team leader of the task force for the annual award, Dragoljub Damljanovic, Schneider Electric, last year's recipient of the Manager of the Year award, Marija Desivojevic, Delta Holding, last year's winner of the CSR award and the Best Talent Development Program award, Dusan Basalo, Atria Group, last year's winner of the Employer of the Year Award, Tamara Jokanovic, Represent, a SAM member, Veronika Tasic Vusurevic, Digitalna Srbija, a SAM member, and Neven Marinovic, Smart Kolektiv, not a member of SAM. The Serbian Association of Managers (SAM) is realizing this event for the seventh year now, aiming to promote excellence and incite creativity and competition in various spheres of social and business life.